A vertebra is said to be displaced or luxated when the joint surfaces are entirely separated. Sub-luxation is a partial or incomplete separation: one in which the articulating surfaces remain in partial contact. This latter condition is so often referred to and known by chiropractors as sub-luxation. The relationship existing between bones and nerves are so nicely adjusted that anyone of the 200 bones, more especially those of the vertebral column, cannot be displaced ever so little without impinging upon adjacent nerves. Pressure on nerves excites, agitates, creates an excess of molecular vibration, whose effects, when local, are known as inflammation, when general, as fever. A subluxation does not restrain or liberate vital energy. Vital energy is expressed in functional activity. A subluxation may impinge against nerves, the transmitting channel may increase or decrease the momentum of impulses, not energy. For over a century, doctors of chiropractic have been explaining chiropractic by teaching patients and the medical community that there are bones compressing/irritating spinal nerves. The ensuing nervous system dysfunctions have negative effects on the function of peripheral nervous systems, central nervous systems and patients’ overall ability to maintain homeostasis. Essentially, they go into states of dis-ease. These discussions were in large part due to the teachings of D.D. Palmer and B.J. Palmer as previously cited. Based on the results rendered in chiropractic offices across the country and in a patient-driven model of success, the general consensus in both private practice and chiropractic academia had been to maintain status quo and simply teach what has worked in the absence of conclusive evidence, particularly in light of a lack of serious governmental funding and support for chiropractic research. In addition, dogma has also created blinders for many, as evidence evolves to further chiropractic and its understanding, application and expansion. Over the last 10-15 years, research has been published by the scientific community that has begun to verify that D.D. and B.J. Palmer’s hypotheses were fundamentally correct, while clarifying the specific physiological mechanisms related to chiropractic’s ability to alleviate pain. 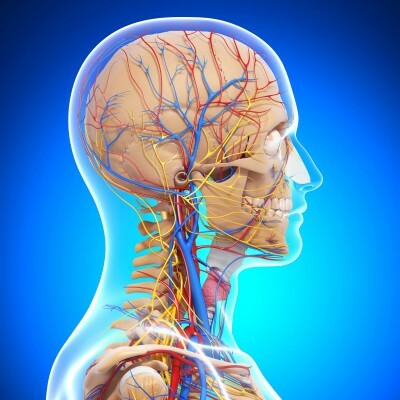 As a result of initially studying pain mechanisms, contemporary research has also begun to set the foundation for understanding why chiropractic works with systemic and autonomic dysfunction and potential disease treatment through the adjustment – central nervous system connection. It is the understanding of that connection with pain that is helping people to begin to understand the full impact of the chiropractic spinal adjustment and render the evidence to help more get well. Coronado et al. (2012) reported that, “Reductions in pain sensitivity, or hypoalgesia, following SMT [spinal manipulative therapy or the chiropractic adjustment] may be indicative of a mechanism related to the modulation of afferent input or central nervous system processing of pain” (p. 752). “The authors theorized the observed effect related to modulation of pain primarily at the level of the spinal cord since (1) these changes were seen within lumbar innervated areas and not cervical innervated areas and (2) the findings were specific to a measure of pain sensitivity (temporal summation of pain), and not other measures of pain sensitivity, suggesting an effect related to attenuation of dorsal horn excitability and not a generalized change in pain sensitivity” (Coronado et al., 2012, p. 752). These findings indicate that a chiropractic spinal adjustment affects the dorsal horns at the root levels which are located in the central nervous system. This is the beginning of the “big picture” since once we identify the mechanism by which we can positively influence the central nervous system, we can then study that process and its effects in much more depth. The mechanisms of SMT are theorized to result from both spinal cord mediated mechanisms and supraspinal mediated mechanisms [brain]. A recent model of the mechanisms of manual therapy suggests changes in pain related to SMT result from an interaction of neurophysiological responses related to the peripheral nervous system and the central nervous system at the spinal and supraspinal level” (Coronado et al., 2012, p. 762). This demonstrates that the chiropractic adjustment influences the peripheral nervous system and the central nervous system. “Collectively, these studies provide evidence that SMT has an immediate effect on reducing pain sensitivity, most notably at the remote region of stimulus assessment with similar results in clinical and healthy populations” (Coronado et al., 2012, p. 763). …forms of manual therapy have been clinically shown to increase mechanical pressure pain thresholds (i.e., decrease sensitivity) in both symptomatic and asymptomatic subjects.Cervical spinal manipulation has been shown to result in unilateral as well as bilateral mechanical hypoalgesia. Compared with no manual therapy, oscillatory spinal manual therapy at T12 and L4 produced significantly higher paraspinal pain thresholds at T6, L1, and L3 in individuals with rheumatoid arthritis. The immediate and widespread hypoalgesia associated with manual therapy treatments has been attributed to alterations in peripheral and/or central pain processing including activation of descending pain inhibitory systems. The thalamus has multiple functions. It may be thought of as a kind ofhubof information. It is generally believed to act as a relay between different subcortical areas and thecerebral cortex. In particular, every sensory system (with the exception of theolfactory system) includes a thalamic nucleus that receives sensory signals and sends them to the associated primary cortical area. For the visual system, for example, inputs from theretinaare sent to thelateral geniculate nucleusof the thalamus, which in turn projects to thevisual cortexin theoccipital lobe. The thalamus is believed to both process sensory information as well as relay it—each of the primary sensory relay areas receives strong feedback connections from the cerebral cortex. Similarly themedial geniculate nucleusacts as a keyauditoryrelay between theinferior colliculusof themidbrainand theprimary auditory cortex, and the ventral posterior nucleusis a keysomatosensoryrelay, which sends touch andproprioceptiveinformation to theprimary somatosensory cortex. The thalamus also plays an important role in regulating states ofsleep and wakefulness.Thalamic nuclei have strong reciprocal connections with the cerebral cortex, formingthalamo-cortico-thalamic circuitsthat are believed to be involved withconsciousness. The thalamus plays a major role in regulating arousal, the level of awareness, and activity (“Thalamus,” http://en.wikipedia.org/wiki/Thalamus). This indicates that the chiropractic spinal adjustment reduces pain by effecting the thalamus and descending central pain pathways, while mobilization does not show evidence of having the same effect. In addition, with our current knowledge of the chiropractic adjustment effecting the thalamus, we can begin to offer an explanation of how the first historically reported chiropractic adjustment by D.D. Palmer helped Harvey Lilard regain his hearing. Mohammadian, Gonsalves, Tsai, Hummel, and Carpenter (2004) investigated “the hypoalgesic effects of a single SMT on acute inflammatory reactions and pain induced by capsaicin [hot pepper extract]. These effects were assessed by measuring both sensory (allodynia [central nervous system pain], hyperalgesia, spontaneous pain intensity) and local vascular parameters (blood flow)” (p. 382). They reported “As expected, topical capsaicin induced primary hyperalgesia in the application area and secondary hyperalgesia outside that area. While the local vascular parameter blood flow was not affected by a single SMT [spinal manual therapy], the results indicated that sensory parameters (spontaneous pain perception and areas of both secondary hyperalgesia and allodynia) were significantly altered after spinal manipulation compared with N-SMT [non-spinal manipulative therapy]. These results clearly demonstrated that in contrast to the N-SMT condition, a single spinal manipulation triggered hypoalgesic effects” (Mohammadian et al., 2004, p. 385). “In the present study, local blood flow was not affected by a single SMT. However, significant changes were observed on sensory parameters, supporting the hypothesis of centrally mediated effects of a single SMT. It is well known that secondary hyperalgesia appears to be due to central sensitization of the spinal dorsal horn neurons,while primary hyperalgesia is caused by nociceptor sensitization. It has also been discussed that mechanisms underlying allodynia are centrally mediated.Our findings also confirm the view that the hypoalgesic effects of a single SMT might be due to central modulation. These effects could also be explained as a result of a stress reaction caused by spinal manipulation treatment…Other studies discussed thatspinal manipulation [chiropractic spinal adjustments] stimulates mechanoreceptors of the spinal joints, resulting in afferent discharges and subsequently causing inhibitory reactions on the dorsal horn neurons.Vicenzino et al. demonstrated also a strong correlation between hypoalgesic and sympathoexcitatory effects, suggesting that a central control mechanism might be activated by manipulative therapy… previous studies as well as the present investigation…indicate that hypoalgesic effects of spinal manipulation are more likely mediated through central modulation” (Mohammadian et al., 2004, p. 386). This study suggests that the chiropractic spinal adjustment affects the nociceptors and the mechanoreceptors at the joint level causing central modulation of an effect at the cord and/or brain level(s) and pain reductions in multiple areas as a result. Gay, Robinson, George, Perlstein, and Bishop (2014) reported, “With the evidence supporting efficacy of MT [manual therapy or chiropractic spinal adjustments] to reduce pain intensity and pain sensitivity, it is reasonable to assume that the underlying therapeutic effect of MT is likely to include a higher cortical component” (p. 615). It is in this place in particular that chiropractic must lead in both clinical application and academic processes such as formal continuing education lectures and research. In the study conducted by Gay et al. (2014), “…pain-free volunteers processed thermal stimuli applied to the hand before and after thoracic spinal manipulation (a form of MT). What they found was that after thoracic manipulation, several brain regions demonstrated a reduction in peak BOLD [blood-oxygen-level–dependent] activity. Those regions included the cingulate, insular, motor, amygdala and somatosensory cortices, and the PAG [periaqueductal gray regions]” (p. 615). In other words, thoracic adjustments produced direct and measureable effects on the central nervous system across multiple regions, which in the case of the responsible for the processing of emotion (cingulate cortex, aka limbic cortex) are regarding the insular cortex which also responsible for regulating emotion as well has homeostasis. The motor cortex is involved in the planning and execution of voluntary movements, the amygdala’s primary function is memory and decision making (also part of the limbic system), the somatosensory cortex is involved in processing the sense of touch (remember the homunculus) and, finally, the periaqueductal gray is responsible for descending pain modulation (the brain regulating the processing of painful stimuli). This is a major step in showing the global effects of the chiropractic adjustment, particularly those that have been observed clinically, but not reproduced in large studies. “The purpose of this study was to investigate the changes in FC [functional changes] between brain regions that process and modulate the pain experience after MT [manual therapy]. The primary outcome was to measure the immediate change in FC across brain regions involved in processing and modulating the pain experience and identify if there were reductions in experimentally induced myalgia and changes in local and remote pressure pain sensitivity” (Gay et al., 2014, p. 615). Simply put, can the processing of pain be modulated or regulated from an external force without the use of pharmacy or surgery? “Within the brain, the pain experience is subserved by an extended network of brain regions including the thalamus (THA), primary and secondary somatosensory, cingulate, and insular cortices.Collectively, these regions are referred to as the pain processing network (PPN) and encode the sensory discriminate and cognitive and emotional components of the pain experience.Perception of pain is dependent not merely on the neural activity within the PPN [pain processing network] but also on the flexible interactions of this network with other functional systems, including the descending pain modulatory system” (Gay et al., 2014, p. 617). This is part of the reason why some patients experience pain differently than others. Some have anxiety, depression and are at a loss to function while others can “ignore” the pain and maintain an adequate functional level as a productive member of society. Pain is deeply tied to the most primitive regions of the central nervous system and it appears (as chiropractors have observed clinically for 116 years) that therapeutically speaking, we can have an influence on these higher centers with little or no side-effects. Gay et al. (2014) went on to report, “This study assessed the relationship of brain activity between regions of the PPN [pain processing network] before and after MT [manual therapy or chiropractic spinal adjustments]. Using this approach, we found common and treatment-dependent changes in FC [functional changes]…Our study is unique in our neurophysiologic measure because we used resting-state fMRI [functional MRI] in conjunction with FC [functional change] analyses. Our results are in agreement with studies that have found immediate changes using other neurophysiologic outcomes, such as Hoffman-reflex and motor-neuron excitability, electroencephalography with somatosensory-evoked potentials, transcranial magnetic stimulation with motor evoked potentials, and task-based fMRI with peak BOLD response” (p. 619 and 624). This study concludes that chiropractic spinal adjustments create functional changes in multiple regions of the brain based upon multiple outcome measures. In the study by Gay et al. 2014), this was measureable and reproducible. In addition, this has far reaching effects in setting the foundation for understanding how the adjustment works in systemic and possibly autonomic changes by being able to measure and reproduce functional changes within the brain as direct sequellae. Daligadu, Haavik, Yielder, Baarbe, and Murphy (2013) also reported that “Numerous studies indicate that significant cortical plastic changes are present in various musculoskeletal pain syndromes.In particular, altered feed-forward postural adjustments have been demonstrated in a variety of musculoskeletal conditions including anterior knee pain, low back pain,and idiopathic neck pain.Furthermore, alterations in trunk muscle recruitment patterns have been observed in patients with mechanical low back pain” (p. 527). What this means is that there are observable changes in the function of the central nervous system seen in patients with musculoskeletal conditions. That is something that chiropractors have observed clinically and shows the medical necessity for chiropractic care for both short and long term management as well as in the prevention of pain syndromes. There is also evidence in the literature to suggest that muscle impairment occurs early in the history of onset of spinal complaints,and that such muscle impairment does not automatically resolve even when pain symptoms improve. This has led some authors to suggest that the deficits in proprioception and motor control, rather than the pain itself, may be the main factors defining the clinical picture and chronicity of various chronic pain conditions. The authors went on to state, “Previous work using paired-pulse transcranial magnetic stimulation (TMS) of the motor cortex has indicated that cervical spine manipulation can alter sensorimotor integration of the upper limb by decreasing the amount of short-interval intracortical inhibition (SICI).A recent somatosensory evoked potential (SEP) study involving dual SEPs from the median and ulnar nerves demonstrated that cervical manipulation of dysfunctional areas in patients with a history of reoccurring neck pain or stiffness was able to affect sensorimotor integration…spinal manipulation altered the way the central nervous system responded to the motor training task” (Daligadu et al., 2013, p. 528). Furthermore, the authors added, “…altered afferent input from the neck due to joint dysfunction leads to disordered sensorimotor integration within the cerebellum and a subsequent derangement in motor commands to the upper limb. The cerebellum plays a fundamental role in detecting the encoded afferent signal and relaying this information as part of the body schema. When the input signal is no longer encoded as a result of joint dysfunction and altered afferent input, the cerebellum must adjust to new encodings that dictate the body schema and affect proper execution of the motor task” (p. 529). “Motor sequence learning tasks have been previously shown to induce plasticity within the circuitry of both the motor cortexand the cerebellum…Neck manipulation [chiropractic spinal adjustments] has also been shown to provide a modulatory effect on the motor cortex by reducing the amount of intracortical inhibition.” (Daligadu et al., 2013, p. 533). “This study further adds to the literature by demonstrating an alteration in cerebellar modulation of motor output in SCNP [sub-clinical neck pain] patients when they received a manipulation-based chiropractic treatment before performing motor sequence learning.In the healthy control group, there was no change in CBI seen following motor sequence learning alone” (Daligadu et al., 2013, p. 534). “If the motor sequence learning task had a significant effect on the cerebellum in this group of participants due to their neck pain and altered sensorimotor integration, then it is possible that a decreased level of CBI [cerebellar inhibition] output to the motor cortex would result in an increase in SICI [short-intracortical inhibition]” (Daligadu et al., 2013, p. 534). The significance of this study is that it suggests that the chiropractic spinal adjustment improves not just neck dysfunction, but through plasty changes in the cerebellum, there is resultant motor learning and increased function. Based upon the scientific evidence, chiropractic spinal adjustments stimulate mechanoreceptors and nociceptors of the spinal joints resulting in afferent discharges and subsequently causing central modulation with an effect at the cord and brain levels. This causes pain reductions and secondary hyperalgesia (pain reduction in remote regions) which appears to be due to central sensitization of the spinal dorsal horn neurons,while primary hyperalgesia is caused by nociceptor sensitization. This verifies that chiropractic adjustments influence the peripheral nervous system and the central nervous system. In the central nervous system, chiropractic spinal adjustments reduce pain by effecting the thalamus and descending central pain pathways. Chiropractic spinal adjustments also create functional changes in multiple regions of the brain based upon multiple outcome measures that are measureable and reproducible. The areas of the brain affected by chiropractic adjustments effect the following functions: emotions, learning, motivation, memory, consciousness, homeostasis, perception, motor control, self-awareness, cognitive function, voluntary movements, decision making, touch, temperature, pain of the skin- epithelial tissue-skeletal muscles-bones-internal organs and cardiovascular system. This has far reaching effects in setting the foundation for understanding how the adjustment works in systemic and autonomic changes by being able to measure and reproduce functional changes within the brain as direct sequellae. The evidence also reveals that only chiropractic adjustments (high velocity-low amplitude) render these findings and mobilization of joints conclusively do not. In addition, muscle impairment does not automatically improve with symptoms abating creating the necessity for both short and long-term care. This indicates that the deficits in proprioception and motor control, rather than the pain itself, may be the main factors defining the clinical picture and chronicity of various chronic pain conditions. 2. Coronado, R. A., Gay, C. W., Bialosky, J. E., Carnaby, G. D., Bishop, M. D., & George, S. Z. (2012). Changes in pain sensitivity following spinal manipulation: A systematic review and meta-analysis. Journal of Electromyography Kinesiology, 22(5), 752-767. 3. Reed, W. R., Pickar, J. G., Sozio, R. S., & Long, C. R. (2014). Effect of spinal manipulation thrust magnitude on trunk mechanical activation thresholds of lateral thalamic neurons. Journal of Manipulative and Physiological Therapeutics, 37(5), 277-286. 5. Mohammadian, P., Gonsalves, A., Tsai, C., Hummel, T., & Carpenter, T. (2004). Areas of capsaicin-induced secondary hyperalgesia and allodynia are reduced by a single chiropractic adjustment: A preliminary study. Journal of Manipulative and Physiological Therapeutic, 27(6), 381-387. 6. Gay, C. W., Robinson, M. E., George, S. Z., Perlstein, W. M., & Bishop, M. D. (2014). Immediate changes after manual therapy in resting-state functional connectivity as measured by functional magnetic resonance imaging in participants with induced low back pain. Journal of Manipulative and Physiological Therapeutics, 37(9), 614-627. 7. Daligadu, J., Haavik, H., Yielder, P. C., Baarbe, J., & Murphy, B. (2013). Alterations in coritcal and cerebellar motor processing in subclinical neck pain patients following spinal manipulation. Journal of Manipulative and Physiological Therapeutics, 36(8), 527-537. Dr. Mark Studin is an Adjunct Associate Professor of Chiropractic at the University Of Bridgeport College Of Chiropractic, an Adjunct Assistant Professor of Clinical Sceinces at Texas Chiropractic College and a clinical presenter for the State of New York at Buffalo, School of Medicine and Biomedical Sciences for post-doctoral education, teaching MRI spine interpretation and triaging trauma cases. He is also the president of the Academy of Chiropractic teaching doctors of chiropractic how to interface with the legal community (www.DoctorsPIProgram.com), teaches MRI interpretation and triaging trauma cases to doctors of all disciplines nationally and studies trends in healthcare on a national scale (www.TeachDoctors.com). He can be reached at 631-786-4253.